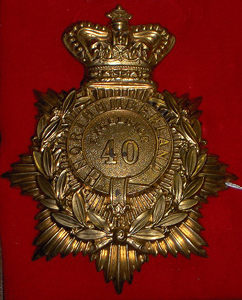 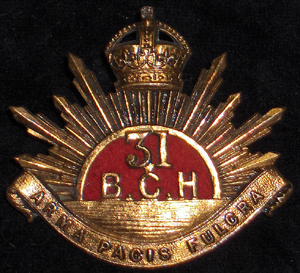 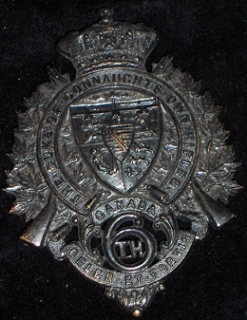 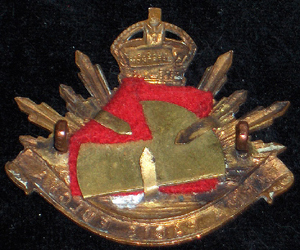 31st British Columbia Horse cap badge. 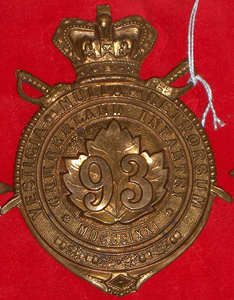 In mint condition, complete with original lugs, back plate, original red cloth and tangs to hold it in place. 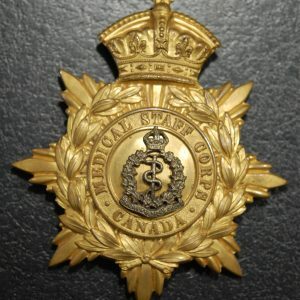 Circa 1905-Canadian Medical Staff Corps Helmet Plate- Rare Variant.